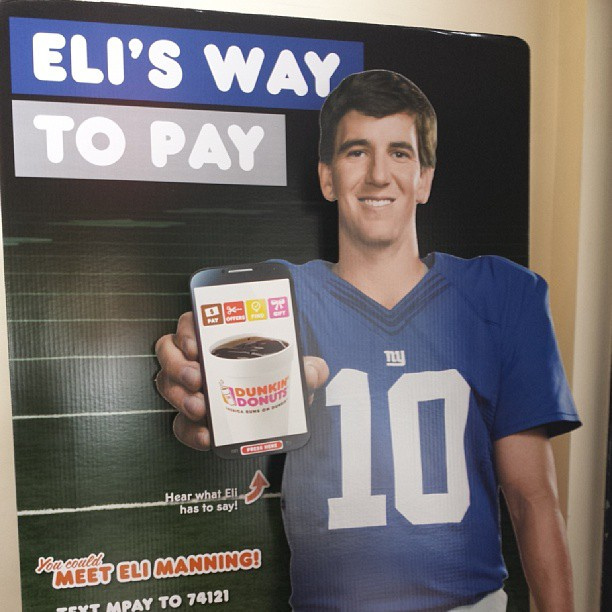 On November 12th, ten lucky grand-prize winners of the “Eli’s Way to Pay” promotion for Dunkin’ Donuts will be heading to the Quest Diagnostics Field, next to MetLife Stadium, for the opportunity of a lifetime. Winners from all over the New Jersey-New York area will be in East Rutherford on Tuesday morning, including New Jersey residents of Brick, North Bergen and Tenafly, New Yorkers from Brooklyn (two winners), Astoria, and Flushing, and Long Islanders of Bellmore, Medford and West Babylon. These lucky fans will have two hours of fun on Tuesday morning, as they will arrive in the parking lots at about 10:30am, and head over to the Quest Diagnostics Café for a Q&A session for about 45 minutes. Afterwards, these excited fans will then walk out to the field to play catch with Eli Manning, and have the ability to talk and take a picture with the Giants legend. 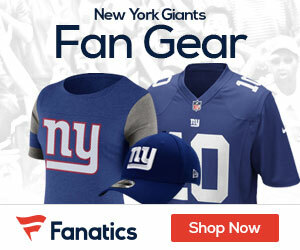 GiantsGab will be there as a part of the media taking pictures and helping cover the extraordinary event. Staff Writer Christian Nelson (yes, myself) will be there on behalf of GiantsGab, and it should be a real fun time for everyone involved. I will be back on Tuesday afternoon with some great pictures of the event, and give a conclusive wrap-up of the incredible Dunkin’ Donuts promotion.